Studio portrait of the James Cessnun family possibly taken in Wabaunsee County, Kansas. James Cessnun was an early cattleman in the area. 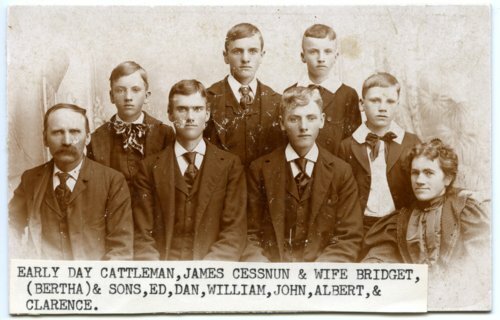 Cessnun and his wife, Bridget, are seen here with their six sons: Ed, Dan, William, John, Albert, and Clarence.